It’s Moving Day! Boxes are packed, coffee is on, and your helpers should arrive soon. How about some tuneage? Afterall, the soundtrack to your moving day can set the tone and tempo for the entire day. And in case you didn’t have time to research a build a playlist, we combined the best “Moving Day” soundtracks from around the internet! When we started building this moving playlist, we wanted to make sure the songs were mostly upbeat, and if possible, about moving. The following playlist was taken in part from playlists on Unpakt.com, olympiamoving.com, and apartmenttherapy.com, to name a few: Billy Joel – Moving OutRay Charles – Hit The Road JackGeorge Thorogood – Move It On OverYoung MC – Bust A MoveLudacris – Move B*$&#Reel 2 Reel – I Like To Move ItAll American Rejects – Move AlongJefferson’s Theme Song – Movin’ on UpCurtis Mayfield – Move On UpBad Company – Moving OnThe Animals – We Gotta Get Outta This PlaceWillie Nelson – On the Road AgainBob Dylan – Like A Rolling StoneFleetwood Mac – Go Your Own WayBruce Springsteen – Born To RunGrateful Dead – Truckin’P Diddy – Coming HomeLynryrd Skynyrd – Sweet Home AlabamaPhilip Phillips – HomeSimon & Garfunkel – Homeward BoundCrosby, Stills, & Nash – Our HouseMadness – Our HouseHey, and if you don&apos;t have time to build a playlist, feel free to use ours! 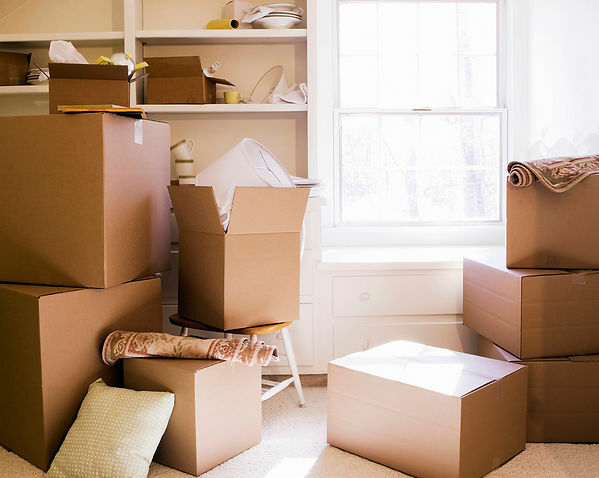 We hope your move-in to a GRE managed property is smooth and easy! Let us know what you think of our playlist and if you think any tunes should be added to ours?